Maybe you’re curious about alternative medicine and want to know why so many people use it. Maybe you’re skeptical about alternative medicine and are curious about why so many people put their faith in it. “Among adults aged 18 and over, increases were seen from 2012 to 2017 in the use of yoga, meditation, and chiropractors during the past year.” (https://www.cdc.gov/nchs/data/databriefs/db325-h.pdf). According to Grandview Research, 70% of adults surveyed in 2017 in the United States believe complementary and alternative medicine (CAM) provides positive results. 78% of those responders were women, and 62% were men. There are actually a number of reasons that millions of people use alternative medicine and the reasons can be different for everyone. Here we will discuss only a few reasons. One reason that many people use alternative medicine is that it is widely available. For example, the use of herbs to maintain optimal health or to make home remedies, making it more accessible and affordable for a wide range of people. Mind body practices such as yoga and meditation can be easily practiced at home without the high costs often seen with traditional medicine practices. A related reason is that alternative medicine is usually more affordable than conventional medicine. People who may have trouble paying for medical bills may be drawn to the comparatively low cost of alternative medicine. The cost of going to alternative medicine practitioners for services like acupuncture may be high but the cost of obtaining herbal supplements, essential oils, and other accoutrements of alternative medicine can be far more affordable than a trip to the hospital. Prescription drug use is at an all-time high in the United States, and often patients complain that the first go to of their doctor is to write a script. Most all of the therapies used in CAM are natural, this is far from the often chemically based interventions seen in conventional medicine. This includes but is not limited to, herbs, essential oils, diet, supplements, chiropractic treatment, mind-body practices and naturopathy. This does not mean that CAM is a cure for any and all conditions, but it can offer a natural alternative and sometimes be a replacement of conventional medicine tools. Another important reason people use alternative medicine is that it can improve life quality and lessen side effects of treatment. When people endure serious illnesses or chronic conditions, inevitably their life quality suffers, and side effects of conventional medicine treatments bring undue hardship. CAM can help. For example, Music Therapy is often used in pain management, which can be helpful for conditions such as arthritis and other chronic pain syndromes. Cancer.gov reports that acupuncture is helpful in reducing the side effects of treatment. Millions of people all around the world genuinely trust alternative medicine as they have for the whole history of humanity. Some of the therapies used in CAM, including acupuncture, Ayurveda, Homeopathy and Herbalism have been in use for thousands of years, dating back to ancient civilizations. Eastern culture strongly believes in their effectiveness in the modern world. Another reason that might shock skeptics of alternative medicine is that some proponents of alternative medicine are skeptical of institutionalized medicine. What this really comes down to is whether we should trust man-made and manufactured solutions more than we should trust natural solutions. A final reason that an increasing number of people trust alternative medicine is that the reasons not to trust it are dissolving. A recent increase of scientific curiosity in alternative medicine has led to a number of legitimate scientific studies on its effects. While several alternative medicinal cures and practices have been “debunked,” many, including essential oils, therapeutic touch, meditation and yoga are becoming more popular because scientific studies are adding validity to the trust that many people already placed in them. If this article inspired you to look deeper into alternative medicine, that’s great. If it convinced you to have a little more understanding and respect to people who do use alternative medicine, that’s even better. You don’t need to use alternative medicine yourself to understand that there are reasons that other people believe in it, that it often helps, and that it seldom hurts. If you are interested in exploring alternative medicine, you can ease into it by talking to your primary care provider. 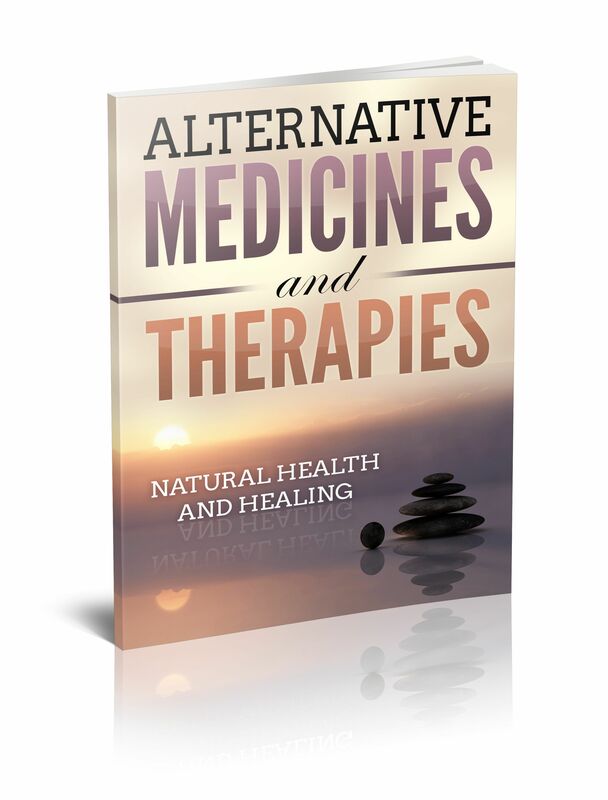 Many conventional doctors recommend alternative therapies to their patients and can provide more information on how to get started. You should also talk to your healthcare provider before exploring alternative medicine if you are on any medications. While very few alternative medicine practices are harmful for healthy people, some can interact with prescription medications. A holistic medical doctor is trained in the use of both conventional and alternative medical care and is something of a one stop shop.